It’s a small book with a simple white binding, worn from use, with a back story that speaks volumes. Marilyn Monroe, who converted to Judaism when she married playwright Arthur Miller in 1956, was presented with the siddur, or prayer book, by Congregation Torah Vodat in Brooklyn. She kept the faith — and the book — until she died in 1962. Now it’s at the J. Greenstein & Co. gallery and auctioneers in Cedarhurst. 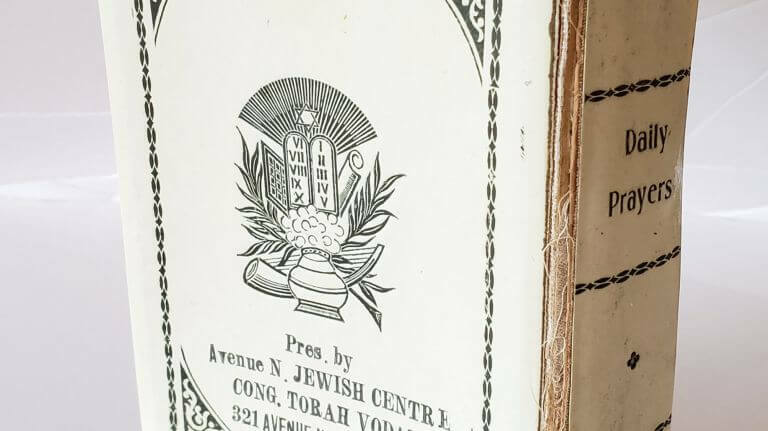 Monroe’s prayer book, estimated to be worth $6,000 to $8,000, is just one of about 150 works of Jewish memorabilia, art, antiques and ritual objects in an auction at the end of October.